I’m not a salesman. I haven’t had to go out and make a sales pitch since I first started as a freelance web designer in 2004 (though I’ve been designing and developing the web since 2001). So, here on this “sales page”, once again, I won’t try and be something I’m not. I don’t need to be a salesperson, because my work speaks for itself. So in a nutshell, here’s my “Why You Should Use Forage”…ahem, sales pitch. There’s a difference between something being a good deal and something that’s just cheap plastic garbage. You can go and rummage yourself up a free website right now. No one will ever see it, and it’s most likely never going to make your company a penny, but it’s certainly possible. You can also go out and buy a $100 car. But would you drive it across the country (or even down to the mall)? I personally specialize in custom designed and handcrafted websites…but not all of my clients can afford my $5000 starting price. So I carefully developed Forage to sell for $999 and still be as close as you can get to custom design and dev. 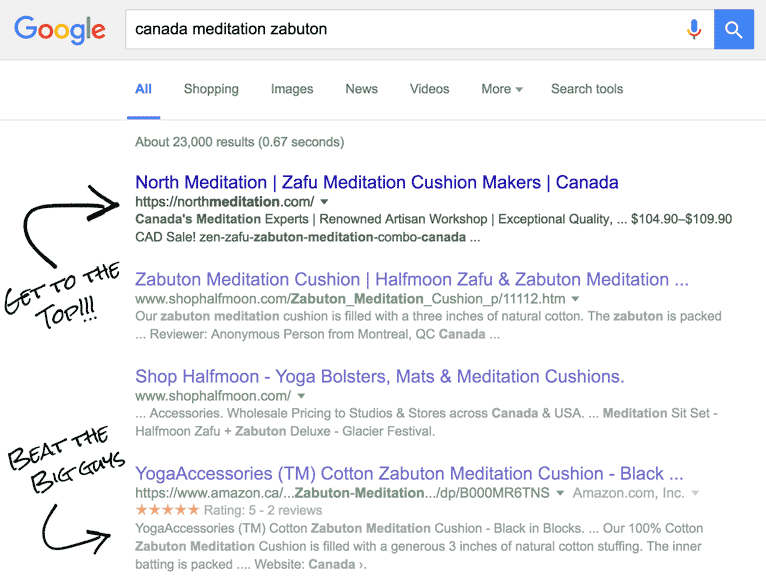 Note that my client here is selling meditation gear, primarily zabutons…and beating Amazon! My code isn’t a fad, it’s built 100% on web standards…and Google’s own standards. 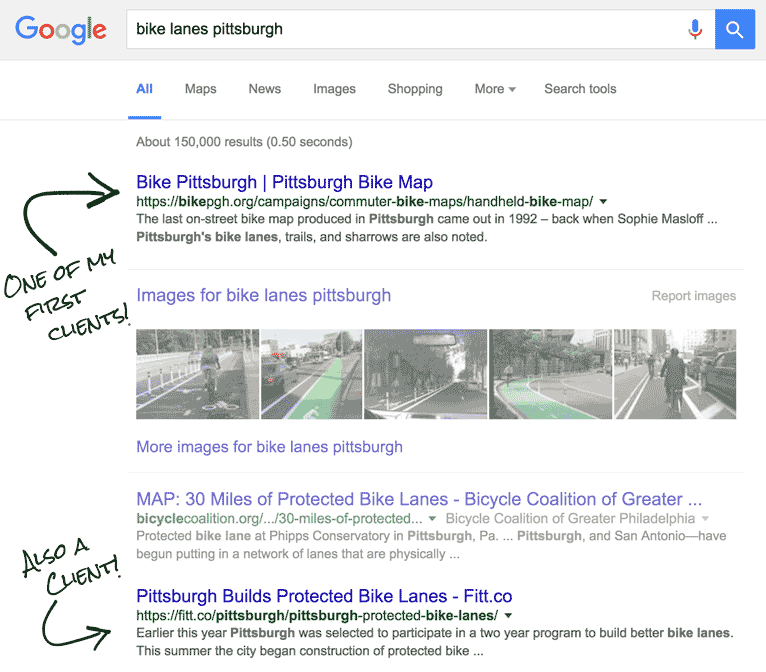 I first built Bike Pittsburgh’s site over a decade ago. Both of these sites belong to my clients (who didn’t mind me working on one another’s sites). One is a few years old, the other a few years older. They’re both at or near the top for their target searches. Local businesses are a win, too. 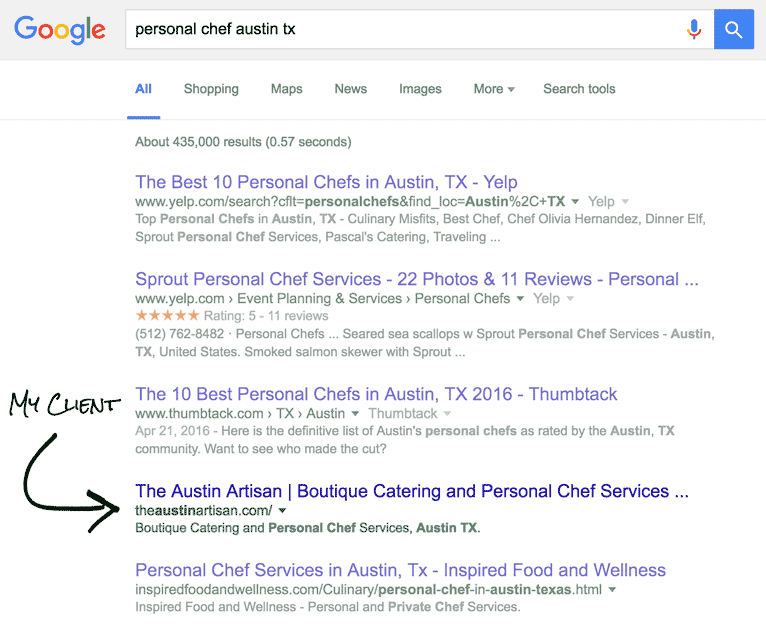 Whether I built the sites outright or just implemented time-tested standards, they both rose to the top, even for search like personal chef, Austin TX, a highly competitive search! Just using my hosting platform alone can mean big results, this site was at position #12 before switching to my hosting. I designed and developed this site. The client created and added the content. Otherwise, it’s been more or less left as is for a few years now, but that doesn’t stop it from delivering the #2 position on Google. 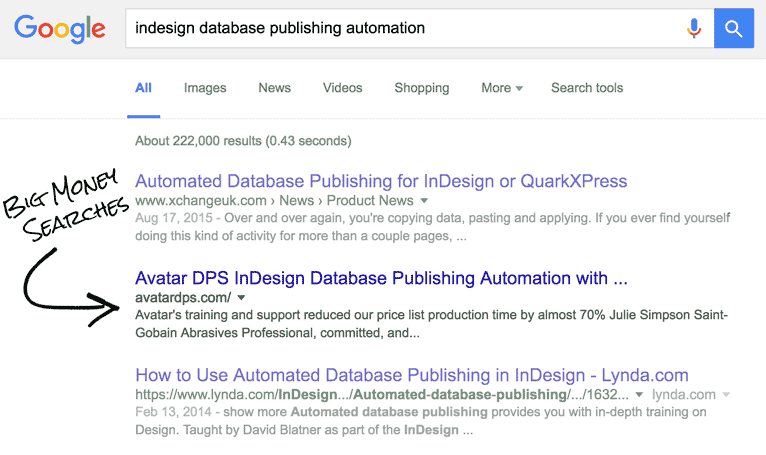 There are search queries, and then there are really tough to rank with search queries. 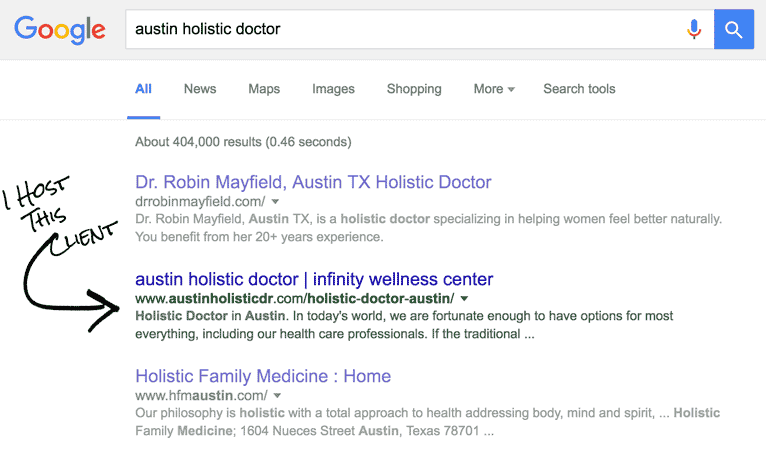 Austin is a metropolis of over 2 million people, my client shows up at the number 4 position. 3. 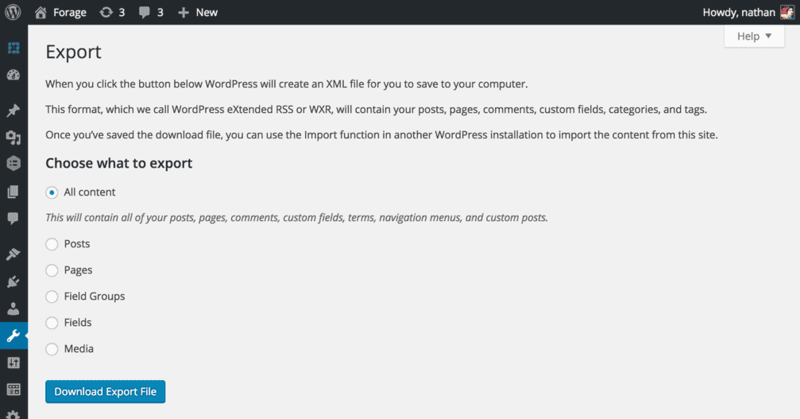 Easy to Use, Easy to Customize, Thank You WordPress! Need a new page explaining your latest product launch? Want to write a blog post about where your band is playing this weekend? 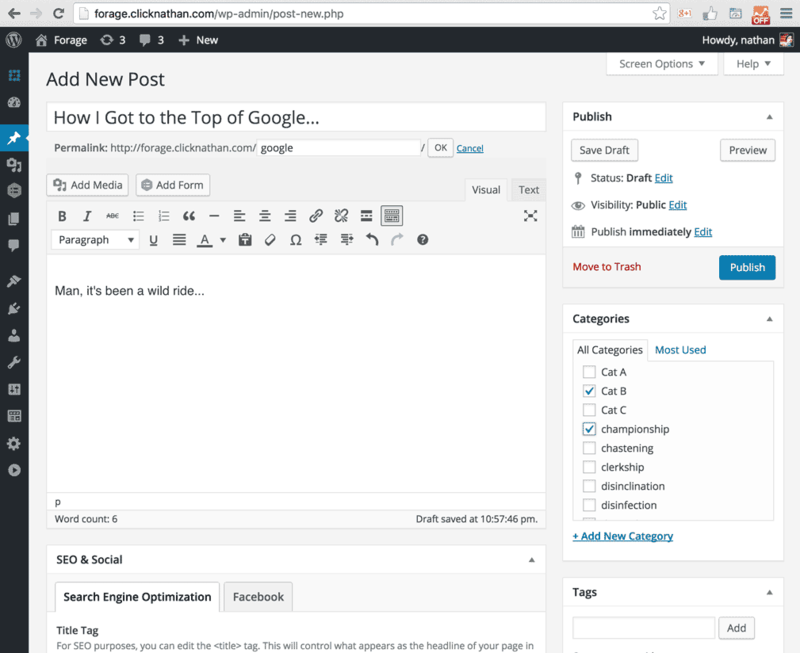 WordPress makes it so simple you can take care of it between brushing your teeth and your morning coffee. 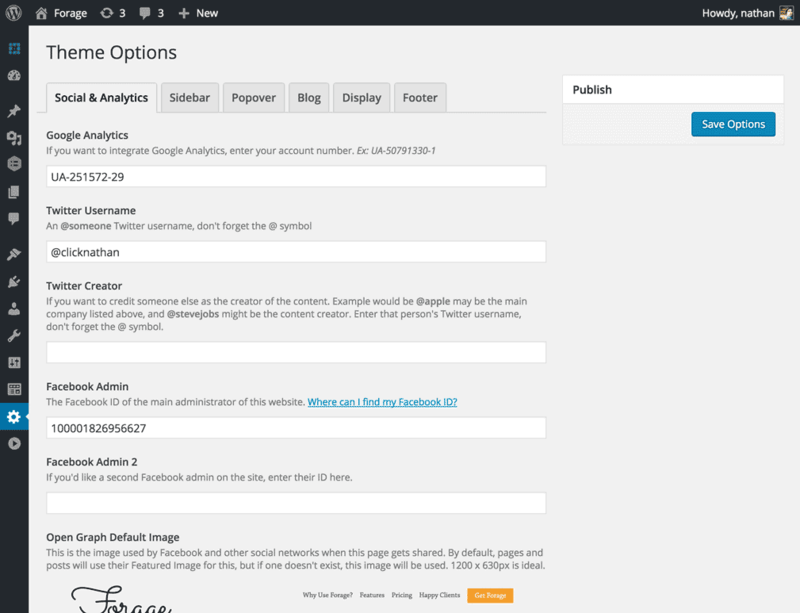 Manage your site’s SEO, social media integration and more, all from one place. Creating new Pages, Blog Posts and other content is as easy as–no easier–than writing a Word document. 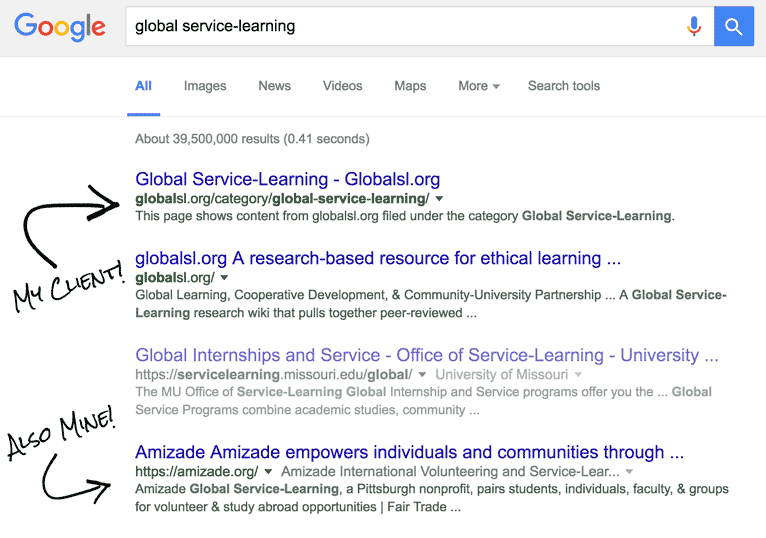 The more content you have, the more Google loves you. But it’s not just about lots of content, it’s about lots of great, well organized content. Manage it all from one place. 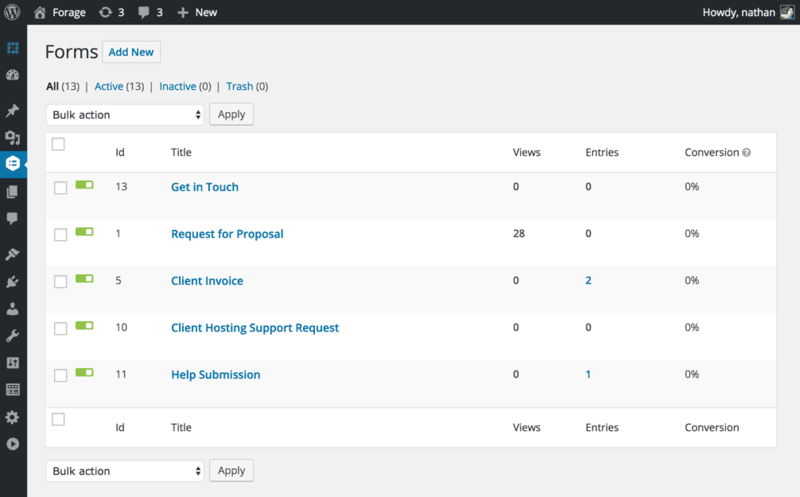 Manage all of your site’s Pages at the click of a button. You’re never locked into using Forage, or any of my services for that matter, ever. Easily export your entire site’s content–including any files and images you’ve uploaded–with just the click of a button or two. You own your content. Export it at any time. Running a website can be a big job, but you don’t have to go it alone! Add new users to your site, whether they’re customers or staff, and give them only the permissions you want them to have. Upload an image to your site, choose if you want it to be right aligned, left, centered, have a caption, what size…that’s all as easy as Sunday morning pie. But you can also upload PDFs, Word Documents, ZIP files…whatever you’d like, and even give different people permission to view the pages they’re on! 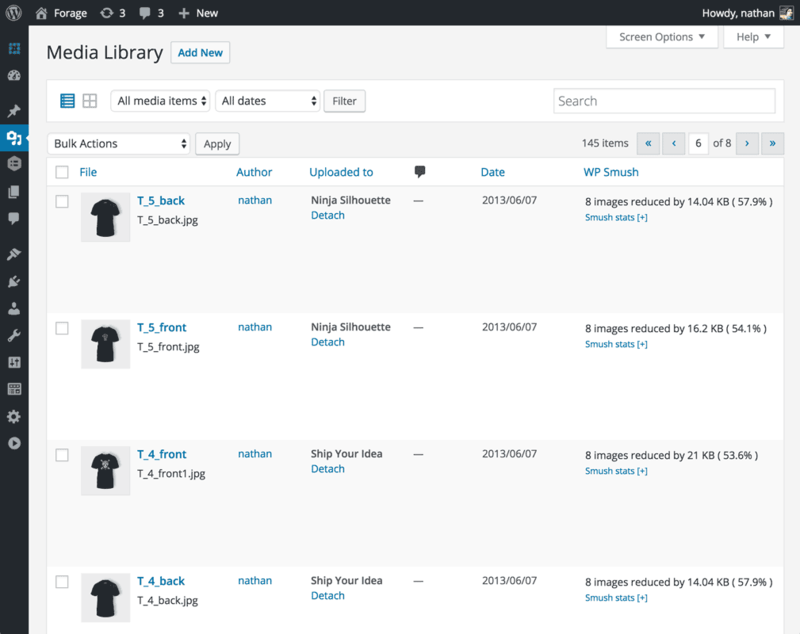 Upload images, videos, PDFs and just about anything else you’d like to share on your site. Forage is built around giving you the ability to edit what you need to edit, make the site yours, but never get in your way. Create a site with exactly the colors, logo and fonts you want, but don’t worry about the minutiae that is coding and managing every little detail of a website. Or, as part of the whole service, just send me the information and I’ll add it for you! Plenty of options to customize your social networking settings, add Google Analytics to your site, customize fonts and colors…but without the bloat typical WordPress themes come with. Thanks to my hosting platform–a requirement when using Forage–you get a ton of great features. One of them is Staging: the ability to click a button and get an exact copy of your site. This allows you to experiment with plugins, changing colors, logos, even content; but without screwing up your live site in the process. My hosting platform also means crazy fast pageloads thanks to the caching platform we use, nearly invincible security and daily backups…so even if something does go wrong, it’s just a text or phone call to get it back up and running. Easily make a copy of your site so you can experiment to your heart’s content without breaking your live site. From a simple contact form to the ability to accept payments on your website, newsletter signup integration and the ability to add polls and surveys to your site, every Forage client gets access to my copy of the Gravity Forms plugin. Gravity Forms is the #1 plugin for building nearly limitless forms that make your site all that much better. And of course, not satisfied with the #1 forms plugin out there, I have a host of features that make Gravity Forms even better, from how beautifully they’re displayed on Forage sites to how efficiently they’re loaded. 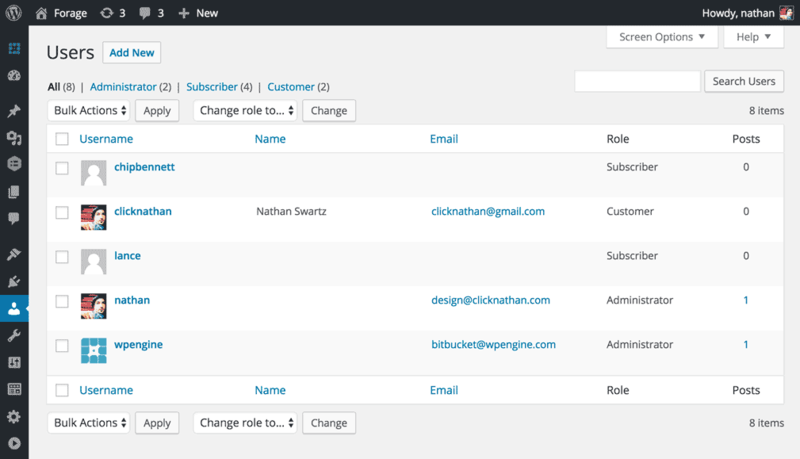 Easily create forms and manage their entries. * Note that while there are 10s of 1000s of plugins out there, not all are professionally coded and not all are 5 star material. You are always welcome to check with me to see how any particular plugin might affect your site’s performance, and I’m always available to customize plugins–or even just flat out create one for you–if needed. Out of the box, Forage has one blocking resource: the stylesheet for the page you’re on. 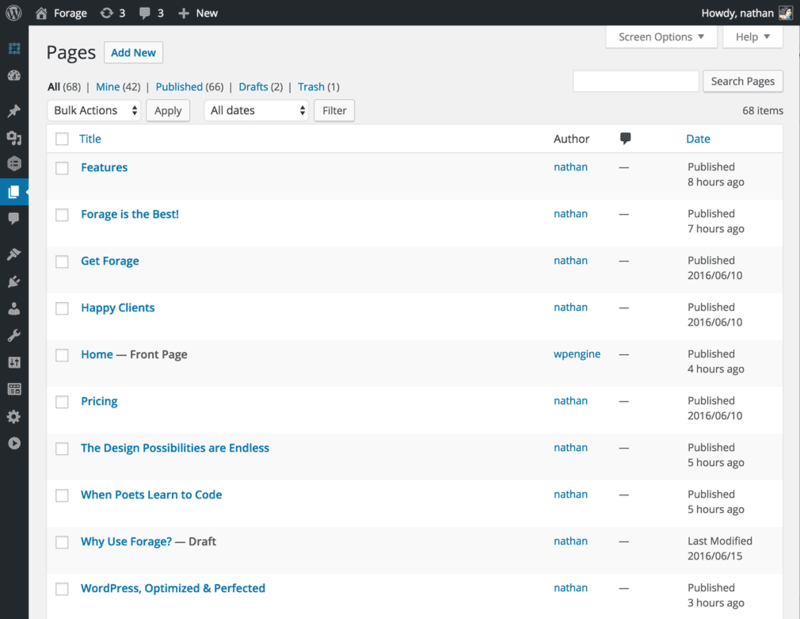 That may sound like gibberish if you’re not hip to web development, but for a WordPress theme, it’s insane. I take this stuff incredibly seriously. That’s why my clients succeed 98% of the time. 5. Man, That’s a Good Looking Site! I won’t go on and on about how good Forage can look. This site was built on Forage. So is the main ClickNathan.com (yeah, I put my money where my mouth is). I’ve also got examples of what you can do with Forage here, and real world sites built on Forage (along with testimonials), here! I also offer e-commerce solutions (aka Woocommerce), content importation, creation & custom SEO services if you need it! And of course, if you want more than Forage can handle, I offer full service, custom design & development via ClickNathan.com. I get it already, give me Forage! Woocommerce, Content Creation, Custom SEO & more available, too!